Jim was born November 26, 1946 to Paul C. and Constance (Tiernan) Assum. 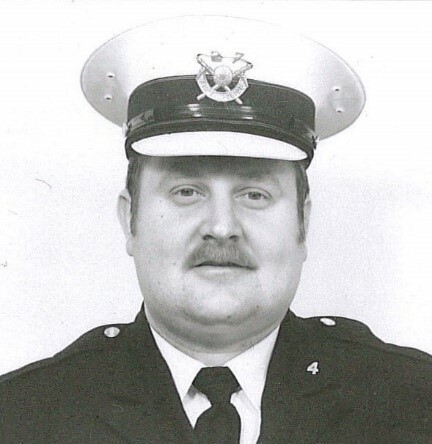 When Jim was 5 years old, his father joined the Cincinnati Police Division as a Patrolman. Jim attended Courter Technical High School where he participated on the Track Team, was editor and chief photographer of the school newspaper, and graduated in 1966. While at high school, he worked as a caddy at the Hyde Park Country Club. He also worked at the Cincinnati Public Library. After graduation, he took a position at Cincinnati Lithography. From February to July 1967, he worked at the Cincinnati Post and Times newspaper. While still 20 years old, Jim followed his dad into the Cincinnati Police Division as a Police Cadet on July 13, 1967. He was assigned to District 6 (3295 Erie Avenue). On his 21st birthday, November 26, 1967, Jim was promoted to Patrolman, possibly making him, at the time, the youngest ever Cincinnati Patrolman. His father had been promoted to Specialist a year before and Jim was issued his Patrolman’s Badge Number 27. During the next 25 years, he served in Districts 2 (3295 Erie Avenue), 3 (3201 Warsaw Avenue), and 4 (4150 Reading Road), and Communications Section and Telephone Crime Reporting Unit (310 Ezzard Charles Drive). He retired July 22, 1995 with 28 years of service and 16 letters of appreciation and/or commendation. Officer Assum suffered from multiple ailments. He passed away at the Dual Manor Nursing Home at 7:40 a.m. on January 8, 2018 at the age of 71. Officer Assum is survived by his wife of 28 years, Terry L. (Kisha) Assum, and siblings, David (Penny), Ron (Sandy), and Laura (Ron). Visitation will be held 2 to 4 p.m. on Sunday, January 14, 2018 at the George H. Rohde Funeral Home at 3183 Linwood Avenue in Mt. Lookout. An FOP service will be held at 3:45 p.m. A Mass of Christian Burial will be celebrated at 10:30 a.m. on Monday, January 15, 2018 at St. Cecilia on Madison Road in Oakley. Memorials may be made to St. Vincent de Paul.